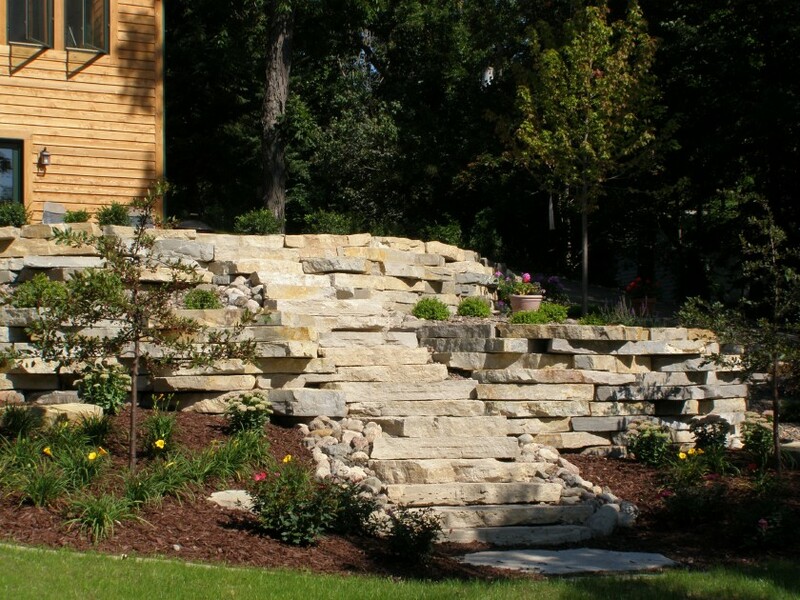 Anytime that a building site has a significant change in grade or elevation, it may be necessary to construct a retaining wall of some kind. 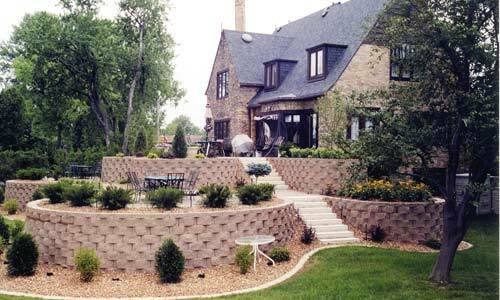 The type of material used should be chosen based on the size of wall needed, the aesthetics desired, and budget available. 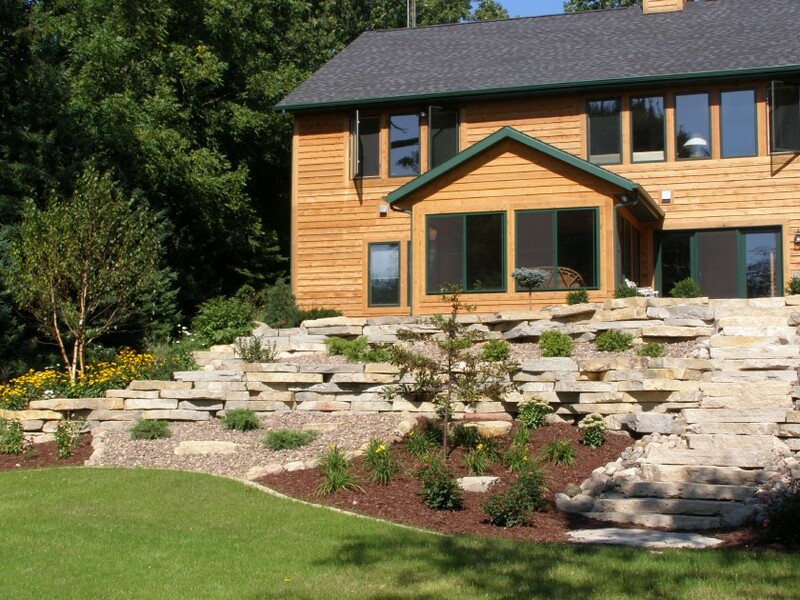 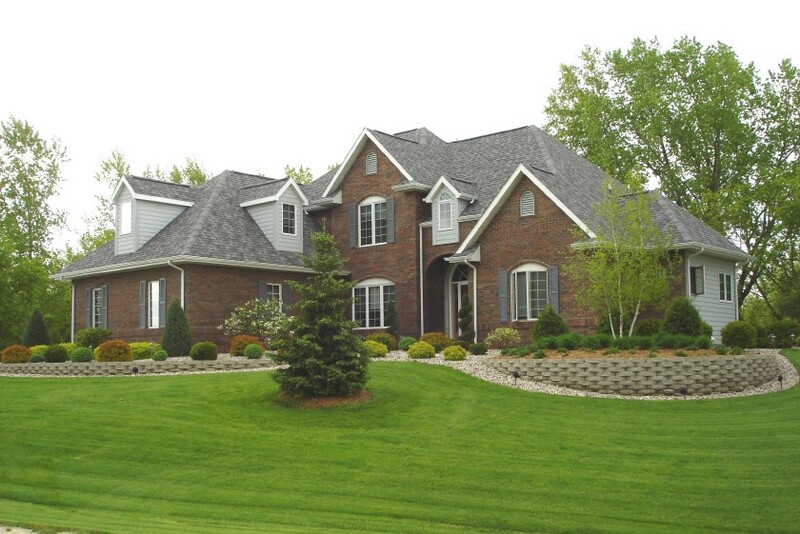 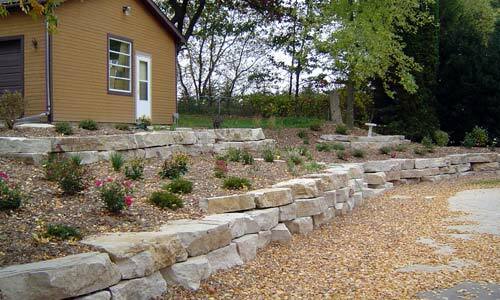 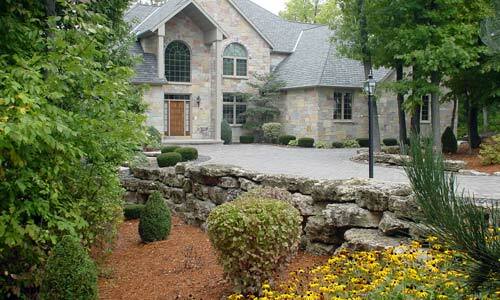 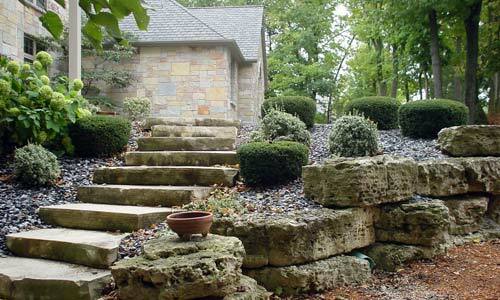 We are fortunate in Wisconsin to have such beautiful, native stone available for building walls. 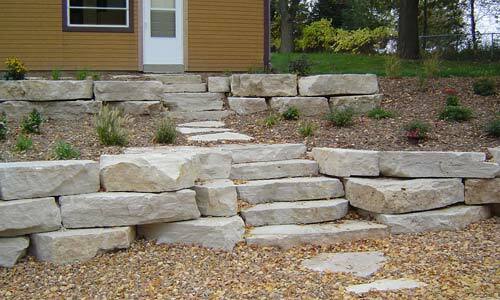 Materials such as: "Wisconsin Granite Boulders", "Chilton" Limestone, or "Lannon" Stone can be used to enhance the beauty of any landscape. 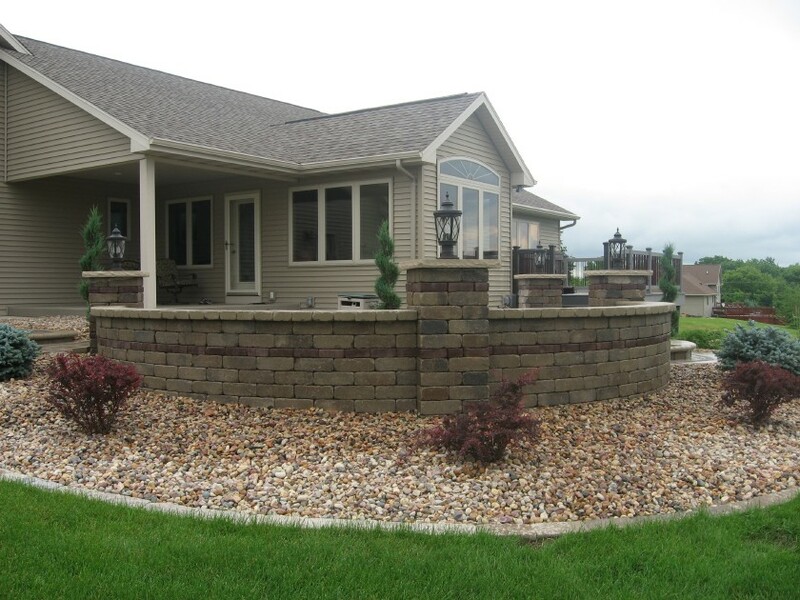 If a large grade change exists and the design calls for a concrete segmental wall system, Stuart's can install an award winning project using any number of products from manufactures such as Keystone, Uni-Lock, or Versa-Lok.